OPEN LEASING FOR 2019-20 BEGINS SEPTEMBER 26TH! 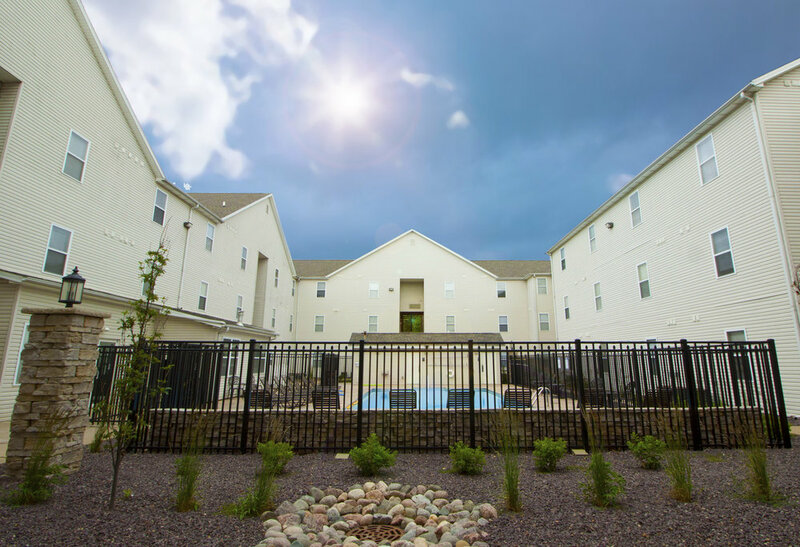 At College Station Apartments in Normal, IL we want to provide you with apartment living at its best. Enjoy newly renovated, fully furnished student apartments, with many on-site amenities. We are conveniently located near Illinois State University and Heartland Community College. No one offers you everything we offer! • All Inclusive Leases, Pay everything with one check! • Individual Leases - Don't get stuck paying for your roommates. 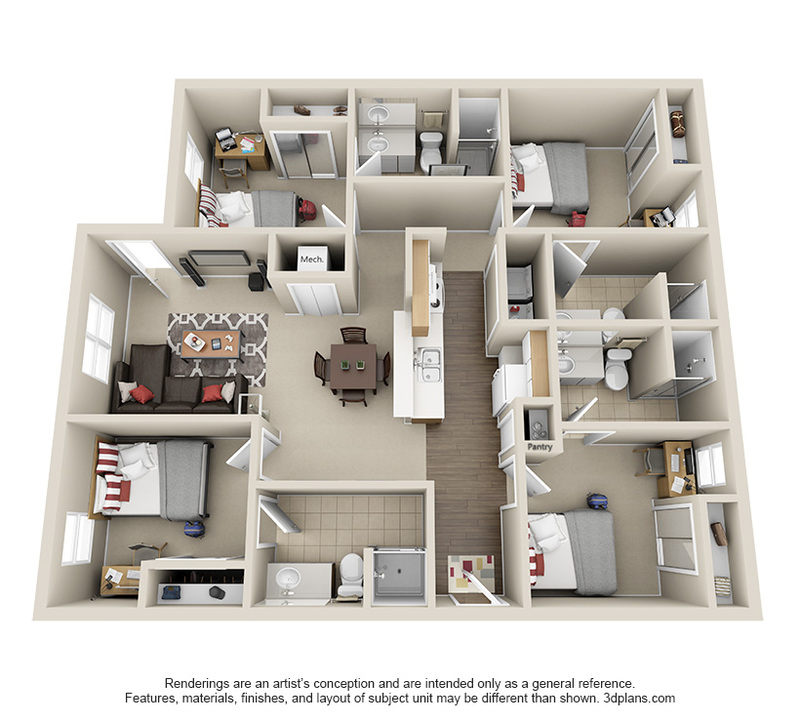 College Station offers one, two & four bedroom student apartments, so whether you are looking to live alone or with friends we have an apartment for you! With all-inclusive, individual leases you don't have to worry about getting stuck paying for your roommates or the amount you pay changing each month. Each apartment features leather furniture, 42" flat screen TV, in-unit washer and dryers and private bedrooms. Receive 40% off online papa john's orders! College Station Residents order Papa John's online and receive 40% off your entire online order! Newly renovated outdoor areas including pool, fire pit, courtyards, volleyball & more. Picking the right place to live can present a challenge for both students and parents, which is why at College Station we make all aspects of apartment living as simple as possible. With all inclusive leases you pay everything with one check and no need to worry about the amount changing each month. 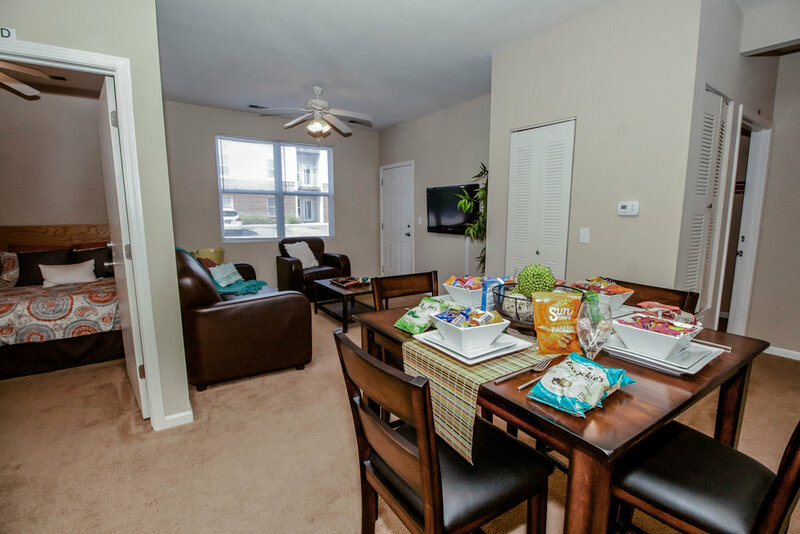 We offer the most and best amenities in town while providing a community atmosphere. College Station offers more than anyone! We now offer all inclusive, individual leases so you and your student don't have to worry about writing multiple checks per month or their roommates finances. College can be stressful, finding the right apartment for your student shouldn't be.